After 2 years of planning, I have arrived in New Zealand to learn about the “New Zealand Framework for Dementia Care”. This is my sabbatical research and I hope to bring back some new ideas for my clinical practice at the University of Vermont Memory Program. The 13 hour flight from San Francisco was uneventful except for a little turbulence which our pilot described as “jiggles”. My first traveling companion is Dr. Lindsay Reese who is a neuroscientist and scientific editor. After our arrival in Auckland, we set out to orient ourselves to the Maori culture at the Auckland War Memorial Museum. 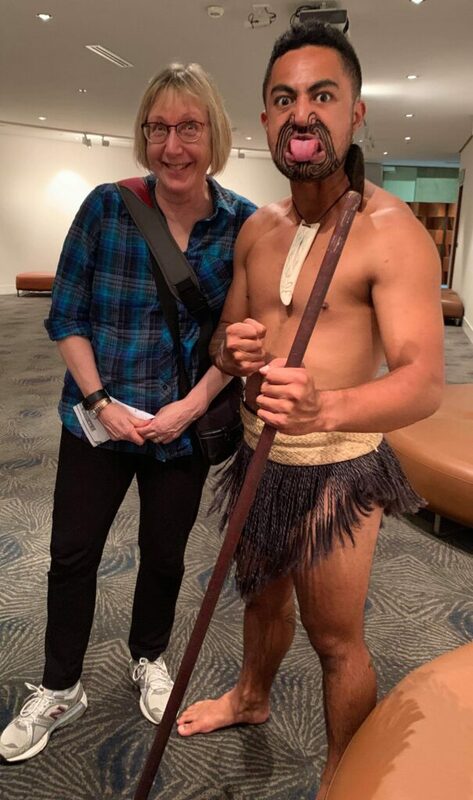 We got to experience the Maori love for song and dance and got a glimpse at their rich cultural heritage and familiar struggles. I was struck by a video presentation that repeatedly mentioned “caring” as an integral part of Maori culture and knew that I had come to the right place.